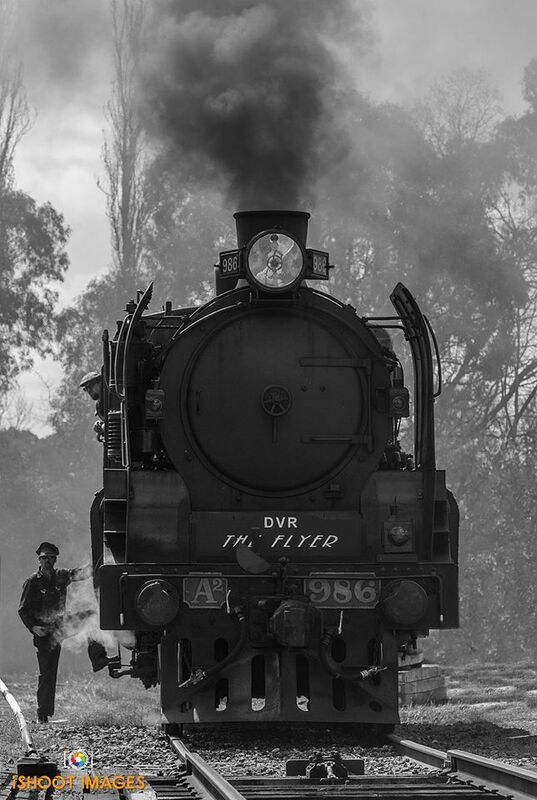 Winding through forest and open land in Central Victoria, the Victorian Goldfields Railway is a remnant of the extensive branch line railway system which served rural Victoria from around 1880 through to the 1970’s. The line from Castlemaine brought rail connection to Maldon and Muckleford, achieving the aim of providing transport and communication to this isolated area. With time, the value of the branchline railway waned as the increased use of road motor transport reduced the isolation of rural areas. The Maldon Railway, no longer a vital link, outlived its usefulness and like the other ‘light’ lines of Victoria, closure and dismantling appeared to be the only prospect. Closure came, but through the efforts of volunteers the line has taken on a new life as a heritage railway, enabling the visitor to see, hear and participate in an active steam railway from the era of the branchline.